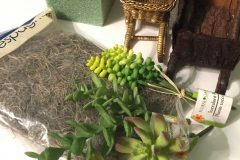 In the spirit of spring cleaning, I offer Merwing-Little Dear’s super-easy tutorial for making your own Swiffer duster covers! When you’re done using them, toss ’em into the laundry! Now you have no excuse for not mopping and dusting! Evil, I know! You can make them out of fleece blankets from the dollar store, or better yet, microfiber dusting cloths (yes, they sell those at the DS too!). There aren’t any instructions for making the Swiffer mop cover, but it looks pretty simple, doesn’t it? Excellent. I’ve been washing the covers for my swiffer duster and they are completely worn out (they weren’t actually made to be washed, lol!) I need to make some good sturdy covers. This are genius! No more refills for me! I also use the SHAMWOWS for my swiffer…..I have laminate floors….LOVE IT!!! Also, a ROOMBA does wonders…lol. I am confused. Obviously missing something very simple, how do you get the fabric covers off and on the floor swifter thingy? Looks like it’s sewn to fit snuggly, so how do you get if off and on? I love this idea!!! I have had friends crochet me some dry covers but I think they don’t work so good. I am so raiding my thrift store donation bag for the fleece! lovely but fleece doesn’t absorb much water and tends to breed bacteria and smell even after washing, while it works great for the duster the swiffer should really have a cotton pad. @hippie Oh, thanks for the input! Maybe if you bought a cotton dishtowel and used it to sew the covers? I haven’t tried this yet, but when I do, I’ll experiment with different materials. I wonder if a felted wool sweater would be good? I didn’t think these were made for wet washing. 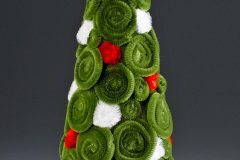 Fleece is made out of old soda bottles, isn’t it? I’m almost finished with making one for mine, i have a clorox mop but i only use the pre-moistened pads with it for a quick clean up. That thing was too leaky. Plus it’ll be good for getting the cobwebs out of the ceiling corners. Thanks for sharing this, its the easiest, fastest and most practical craft I’ve ever done! Now… WHY the heck didn’t I think of that??? Great one!!! I”m off to sew some. I even have the fleece! thank you. I can’t wait to try this. WOW! This is awesome! I have been looking for a pattern for a Swiffer duster replacement that I can crochet – but this looks ten times easier! Thank you so much for sharing this! Do you have a pattern for the other swiffer cover? The one above looks like one side is shorter so you could pull on long side and then pull the short side over. Fleece is not very absorbent. If you can find a shamwow or similar, it would work better. Why not make the mop cover from old t-shirts? I would double them and they would be super absorbent and FREE! this is an awesome idea!! and i think these are just in replace of swiffer dusters / sweepers NOT the moppers! Another great replacement for the wet swiffer is old cloth diapers. I never used cloth diapers as actual diapers but as spit up cloths/pads. They are absorbent and great for light cleaning.Just another idea for recycling. I don’t know how to sew to save my life, but I want to make these! why buying and then throw out in the barbage ? to fill the landfill ? to fill some other very deep pockets ? I’ve seen another tutorial for swiffer duster refills where you use flannel, not fleece. Flannel really grabs the dust better than microfiber, and it’s not supposed to fall apart when you cut it! Haven’t tried this yet but when I do, I’m using flannel! I use plain square washcloths. They stay put and you can use both sides and then throw in the laundry. Cheap and I have tons of them. How about putting elastic around and old terry cloth towel? Say, I wonder if you could use cotton diapers for swiffer clothes?They could poke into the little holes to stay on and they are about the right size. they’d be easy to wash and bleach. Thanks for the inspiration, I’m gonna try it! If you have a Dollar Tree Store get the micro-fiber cloths. I use a wet washcloth,dark color, on my swifter with a bottle of your favorite cleaner on my floors. when your done just toss into the washer! while not as cheap to make, i use prefolded diapers ( yard sale finds ) for the wet mop cover. plus you can bleach it. Love the duster directions. But for the sweeper, I too use washcloths. I bought a really cheap pack of them at the dollar store and yes, they just poke into the holes and fit great. The diaper idea is good too. 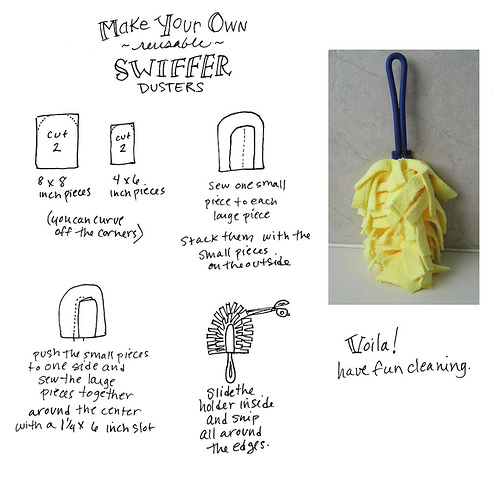 Pingback: Frugal DIY – Make your own Reusable Swiffer covers for only $1! 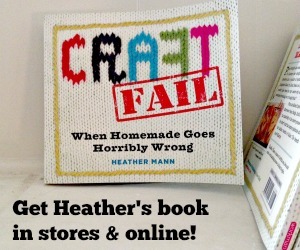 I’m featuring this today on my post about “Top 10 Spring Cleaning Help” @ http://www.cheapcraftymama.com. 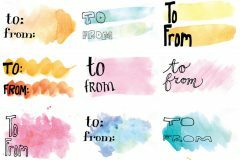 Please feel free to stop by and grab a “featured” button and enter my linky party which just opened— you can win free ad space on my blog! I use old washcloths tat may be frayed at the edges. Works like a charm! What a great idea! 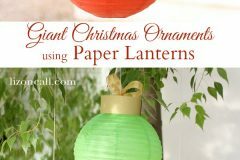 I used it as the “craft of the day” on our facebook page. Check us out at http://www.facebook.com/pages/Brushes-and-Thread/231012056980834. How do you get the cover off and on? I don’t see any way of taking it off or getting it back on? To get the cover off and on: Sew the top part [doesn’t touch floor]out of a material with Lycra in it. 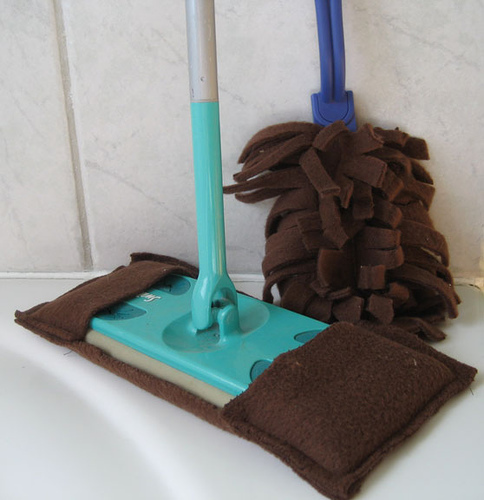 The stretch will get it on and off the the mop with ease and hold it firm for working. To get any smell out from using the mop wet, add 1/4 cup of Arm and Hammer washing soda [not baking soda] to the load of laundry. If you do not wash on hot, dissolve the washing soda in hot water before adding to the laundry. i use I often use my husbands discarded socks. He throws away many because of holes in them or he cannot find the mates so I stretch one over the swiffer and use my hot keurig water and any cleaner that is within reach. I am just lazy and frugal like that. Oh, and I can’t sew…I mean I cannot even sew a button on and not have it fall off again soon. I cannot tell you how timely finding this pin was – I have been looking into doing the Swiffer Sweeper thing now that we have hardwood floors but wanted a reusable pad that can be washed and reused rather then needing to buy new ones all the time. Alas, I saw the pin and found your post…now I am set! THANK YOU!!!!!!!! I buy the huge packs of white wash cloths at Walmart or DS and sew two together and make a pad for my swiffer. I’ve made my own Swiffer floor cleaners out of microfiber cloths from the Dollar Tree for a while. However, you DON’T HAVE TO SEW THEM!!! You can just push them into the Swiffer holders like regular Swiffer cloths! It’s so simple!!!!! Made several of the dusters and I love the idea, but I have trouble with them staying on the handle! Not sure what I did wrong!?! The floor one I just cut a bigger square of fleece and wrapped it up the sides and around to the top, then tuck it into the notches on the top! Much easier than what is shown and no sewing! I use my used dryer sheets on the swifter mop I just tuck them in as the swifter sheets they work great! I will also try this patter because I love sewing. Another great reusable swiffer mop is microfiber inserts for cloth diapers! I do not like them in diapers but they clean floors fantastically and I just wash them with the towels! !